Disembark and transfer after breakfast to Bordeaux airport and enjoy a warm welcome reception on board the luxurious Scenic Azure tonight. 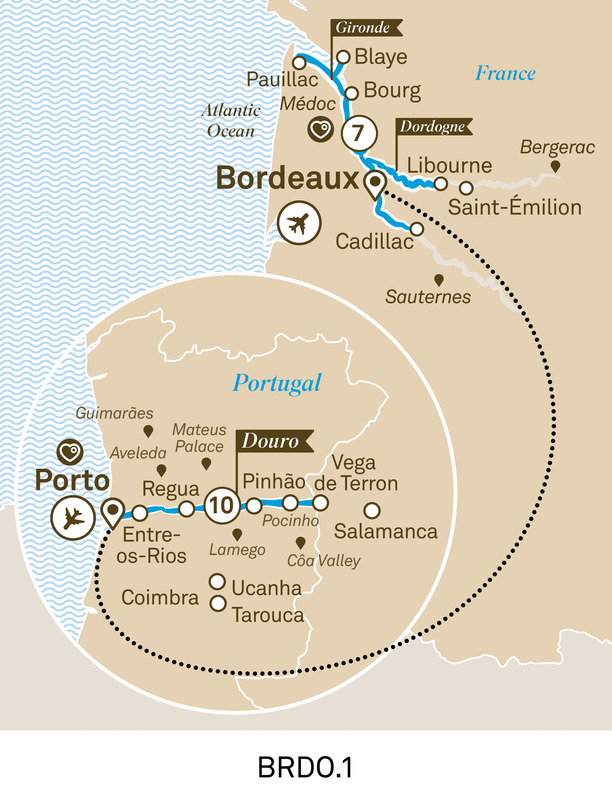 Journey through Portugal and the South of France on a 21-day all-inclusive, luxury river cruise. Highlights include the Douro Valley, Lyon and Avignon.